Completely renovated and reimagined, the Palms Oceanfront Hotel charts a fresh new course on Isle of Palms. 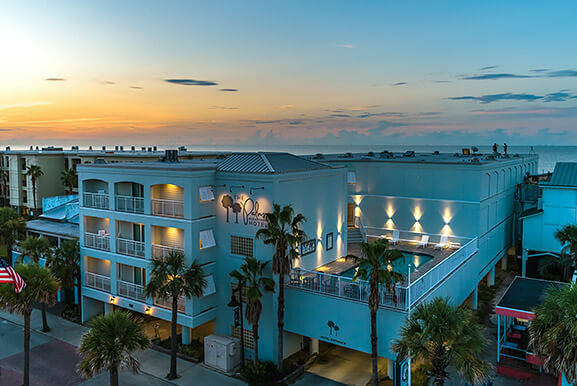 Highlights of the oceanfront hotel’s top-to-bottom renovation include a new pool deck with outdoor showers, a stylish lobby and breakfast bar, and all-new guest rooms with whitewashed finishes, modern furnishings, and granite bathrooms. Save 15% when you book 45+ days in advance. From cool earth tones to sun-bleached finishes, our 57 renovated guest rooms feature upgraded bathrooms and a design inspired by nature. Mere minutes from Historic Downtown, our location makes it easy to enjoy both the wildlife and nightlife of Charleston. 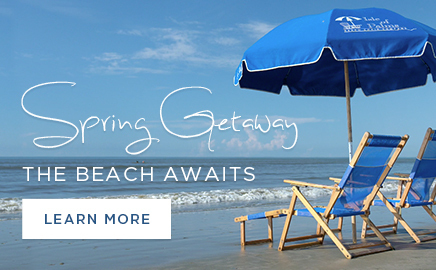 Now you can skip an extended beach rental and indulge your dream of a short getaway to one of the most beautiful beaches on the East Coast. Give your beach budget a break! The Palms Oceanfront Hotel offers unparalleled value, right on the beach -- just minutes from downtown Charleston. With complimentary breakfast, oceanfront views, and beachfront access, The Palms Oceanfront Hotel provides everything you need for the perfect beach stay. The Palms Oceanfront Hotel is located in close proximity to local restaurants, grocery stores, and charming country shops, including Acme Low Country Kitchen, a perennial favorite. Minutes from Charleston, Isle of Palms is located on one of the East Coast’s most beautiful beaches. A favorite coastal getaway, our barrier island bustles with golf courses, water sports, biking, and old-fashioned family fun. A favorite coastal getaway, our barrier island bustles with golf courses, water sports, biking, and old-fashioned family fun. We truly enjoyed our stay here! It's so close to the beach which was convenient for us to go swim or relax on the beach every evening after our days off exploring! © 2019 The Palms Oceanfront Hotel. All Rights Reserved.